This time it's not a fire hazard. Typically when the issue of oil leaks and recalls comes up, it’s a potential fire hazard. That’s not the case this time. 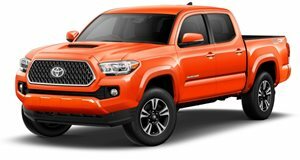 Toyota has just issued a recall for 228,000 2016-2017 Tacoma pickup trucks specifically because of the rear differential, which could suffer from a loose gasket. If so, the differential could leak oil, which will cause reduced acceleration, more noise coming from the rear, and, not to mention, damage to the differential itself. Even worse, the leak could cause the rear differential to seize, resulting in loss of vehicle control. Crashing is never good. Fortunately, Toyota has a remedy for the problem. Affected owners will be contacted by the automaker, who will be instructed to bring their truck to the nearest dealership. The first check will be of the rear differential for any oil leakage. If no leaks are found, then the fasteners will be re-tightened. If there is a leak, the rear differential carrier gasket will be replaced, and new fasteners will be installed. In cases when the rear differential components are damaged, the rear differential carrier assembly will be replaced entirely. Of course, none of this will be at any cost to owners. Clearly this is a problem owners can’t ignore, and there haven’t been any reports so far of injuries or crashes.